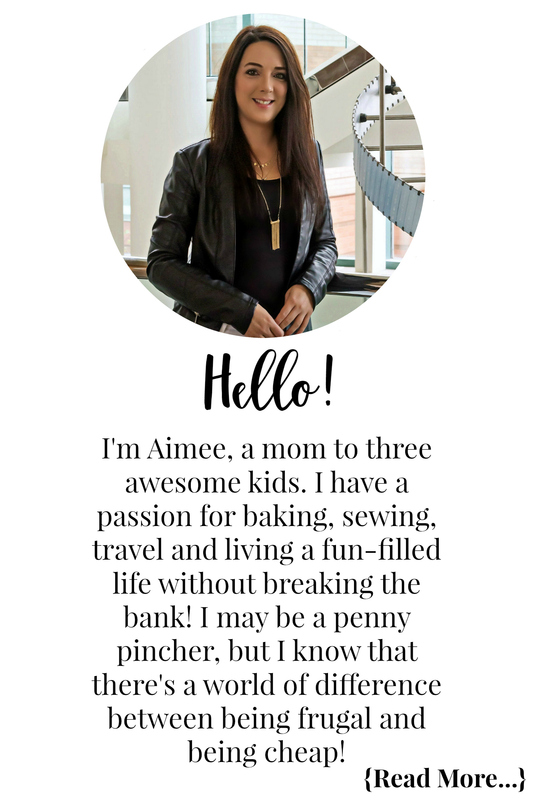 Every year I do the 52 Week Money Savings Challenge. There is nothing more exciting for me than saving money and a challenge to save money. Each year I push myself to save more than I did the year before. I do this because I want to buy a house, put away for our retirement and enjoy a vacation every year. Saving is an important part of life. If you are not yet putting away money, even just for an emergency, you need to make this the year you start. 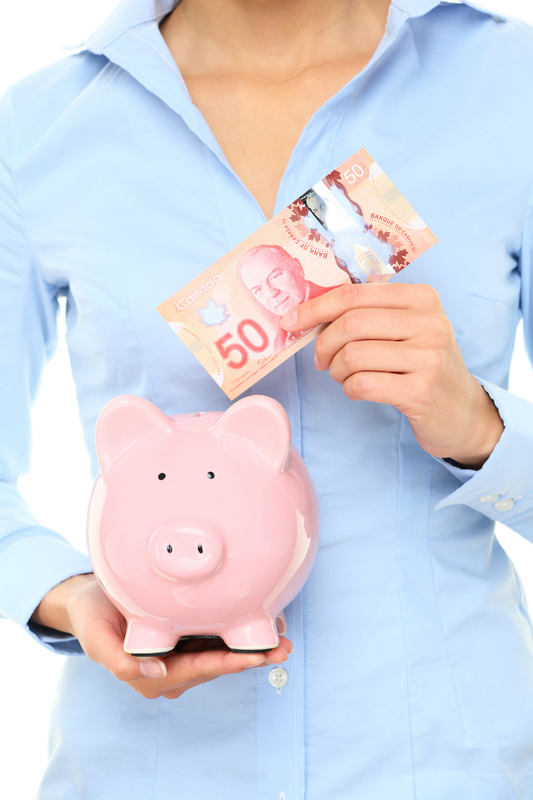 This 52 week money savings challenge is an easy way to save a nice chunk of cash without really breaking the bank! You can start at week #1, go backwards starting at week #52, or even alternate weeks. Whichever way you would like to work the chart is totally up to you. Use the money saved at the end of the year towards your Christmas shopping, take a trip, or keep it in your savings account. 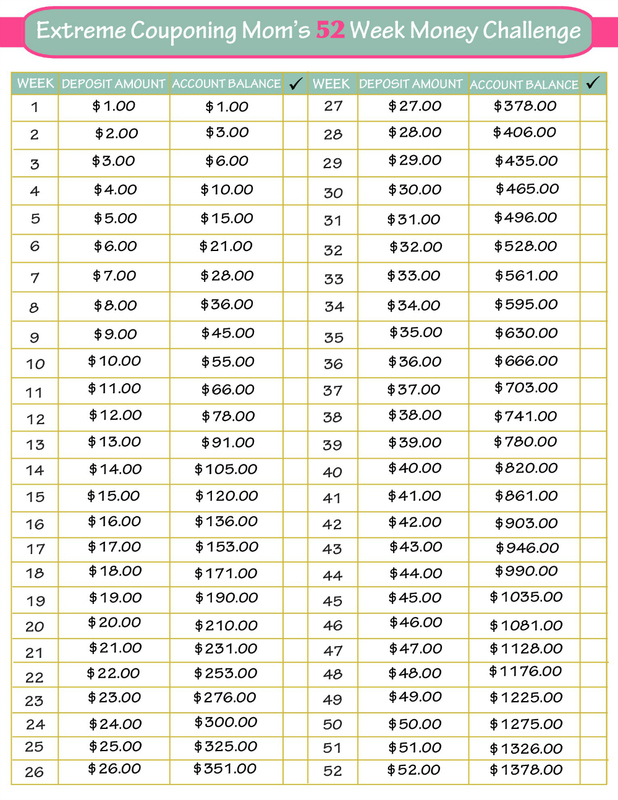 In the new year, start the 52 week challenge over again to continue to save. Maybe you are saving for a down payment on a house, school tuition, new car, an engagement ring, or your retirement savings. Whatever you are saving for the possibilities are endless. However, if you can afford to double the amount some weeks DO IT. If you get some extra money one week pop it in with that week’s amount. At the end of the year, you will be further ahead than you expected and you will be surprised how much more you can save. It truly is a simple and effective way to save all year long! 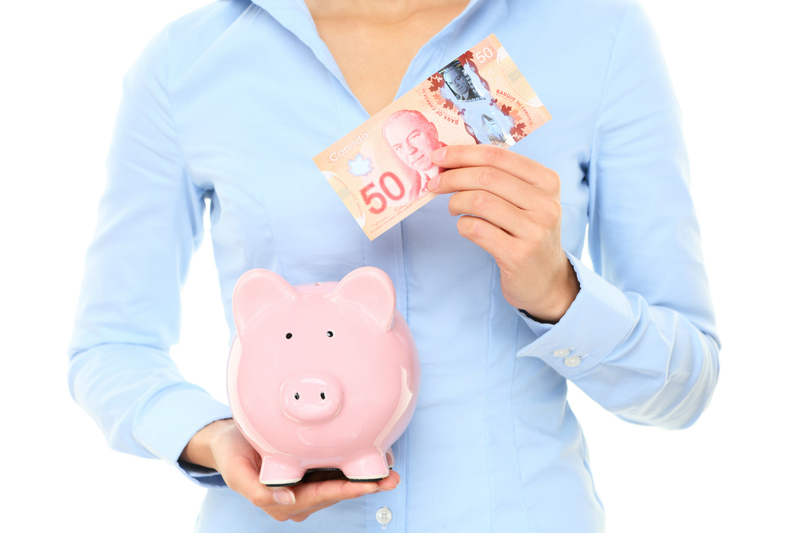 There are lots of high-interest savings accounts as well as no-fee bank accounts you can open. Having one will lessen bank fees. You can also set up your savings account as a bill payment through your bank and pay into it the amount each week without getting nabbed for bank fees! Saving money for me used to be a really hard task. Since implementing the 52 week money savings challenge back in 2013 I have saved over $13,000.00. 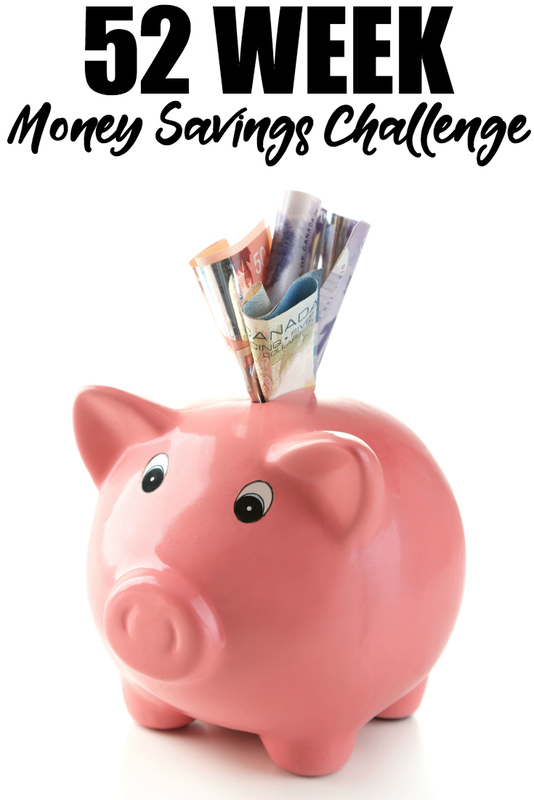 If you are looking for a short-term savings challenge you should check out my 30 Day Money Savings Challenge. It is a great way to save some extra cash fast. Leave a comment below if you are taking this challenge and don’t forget to SHARE this post to your social media so all your friends can save too! The best way to do it… is to commit to paying the MOST you can in a week. Start with week 52, and do the absolute highest you can every week. Once you get the top big ones paid down, you will find that you are putting more than just the $1, $2, or $5 that is needed when you finally get to the lower ones. If you are a 2 income household, have each earner do it into a special account for a HUGE reward come year end! I START TODAY. THANKS FOR THE IDEA! I started this at the end of Dec. 2013!! I have shared it with my family and friends.